Recruitment is hard, there are no two ways about it. Job seekers are often competing with hundreds of other applicants for roles, and that means more and more applicants for businesses to sift through. Because of this, you need to attract the very best from the beginning. And one of the best ways to do is to offer great perks. Benefits are important for a number of reasons. They can help foster a stronger sense of community in a business, for example, as employees feel like they are more than just a wage bill. As a recruiter though, the most important thing you need to know is that 97% of employees expect them as standard. Fail to offer a benefits package, and you’re already a step behind your competitors. 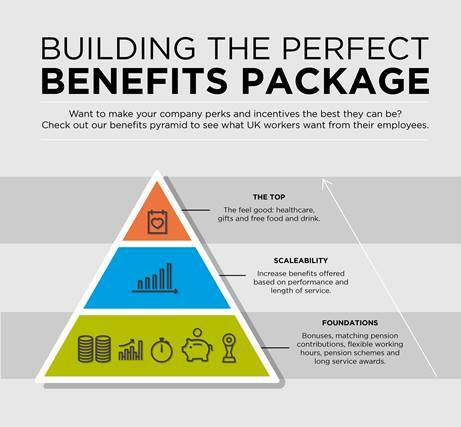 With so many perks to offer, it can be difficult to know which ones offer the best value to both you and your staff. For recruiters, it’s also valuable to know which ones are most attractive. From bonuses to pensions, Adler recently conducted a survey to find out which company perks 1,000 office workers want to see as standard. The most attractive perk for employees? Flexible working hours. Almost half of all those surveyed said that flexible working hours were a perk they wanted to see as standard. If ever recruiters needed more evidence that this new generation of employees value their time as much as their paycheck, it’s this. While flexible working is more and more common, it’s not standard by any means, so offering a flexi-time system could be that something extra special that attracts the employees you want. Not far behind flexible working was pension schemes. With most state pensions worldwide not offering enough for OAPs to live on, employees place more and more emphasis on the pension schemes they’re offered. It’s not the most exciting benefit you can offer, but with 44% of employees surveyed adamant that a solid pension scheme should be provided as standard, it really should be a priority for your business. 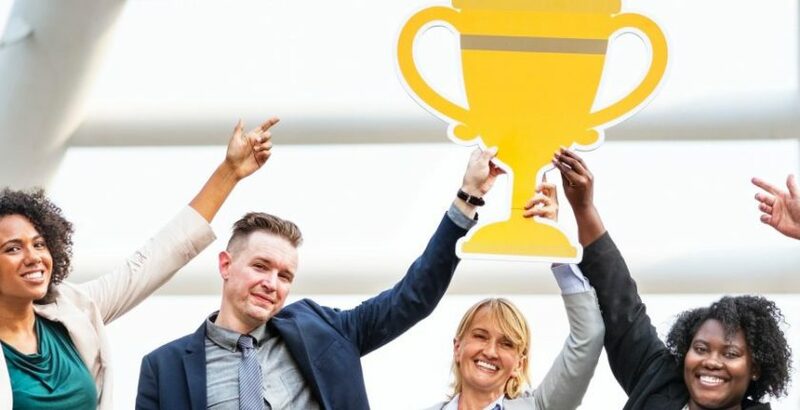 Nothing encourages employees more than being rewarded for good work, and over a third of employees surveyed by Adler said that performance bonuses should be the norm. While systems like this may be commonplace in industries like sales or finance, why shouldn’t they be introduced in other industries too? Give employees recognition for their work and they’ll want to stay. Tell job seekers that you offer performance-related bonuses and they’ll see a company culture that rewards effective work. Pensions came up again, with 34% of employees specifically commenting that they expect employers to match pension contributions. While a good pension scheme signifies your commitment to your employees, by matching their pension contributions you show a definite investment in their future – something workers always appreciate. As well as performance bonuses, loyalty is something employees also think needs to be more rewarded. Over a quarter said that long service awards should come as standard in a benefits package. The more you celebrate your employees’ loyalty, the longer they’ll want to stay and the better impression it gives to new and incoming members of staff. Benefits packages are only going to become more important as time goes on. Businesses are already recognizing the benefits of them for both recruitment and retention, especially so with the new generation of workers. Salary will always be important to employees, but younger people, especially millennials, value other things as well. 40% of 18-34-year-olds surveyed by Adler said that their benefits package is more important to them than basic salary. That’s compared to just 6% of over-55s. While surveys give us a general picture of the best company perks, the best way for HR and recruitment professionals to ensure they are retaining and attracting the best talent is to ask their own employees. About the author: Sean McMahon is a digital marketing professional who specializes in content on HR and recruitment.